Not all heroes wear capes or masks. Plenty a time in the real world, it is the ordinary people that become the heroes because of how they stepped up courageously when it was their time to shine. In a time of war, these moments can be considered inevitable and can happen in a matter of seconds because a fatal blow to an opponent can save an ally or end a war. In a time of peace, these moments are harder to come by but they do happen and the story of Saigo Takamori is evidence of that. Before getting into the more exciting details about Saigo Takamori’s life, you should first know about his road to get there to have a better grasp of why he became the man like that. His name was originally Saigo Kokichi but received the name Takamori in his adulthood. He was born in the current Kagoshima Prefecture, which used to be called the Satsuma Domain, on January 23 in the year of 1828, during the reign of the Tokugawa shogunate. If you want to know when that was in the lunar calendar, that would be December 7 in the tenth year of the era known as Bunsei. 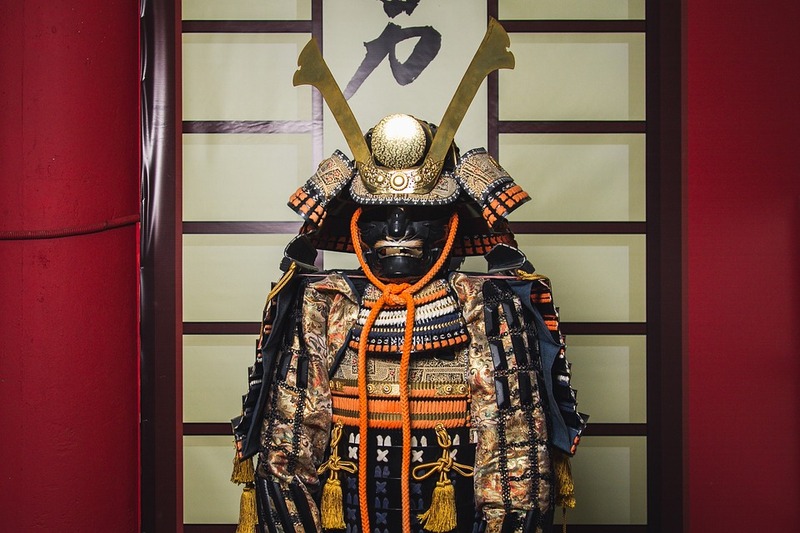 He was born into a family that had an official status called Jokashi, which meant full samurai, but they lived as Goshi, which is a status that refers to the rural samurai. 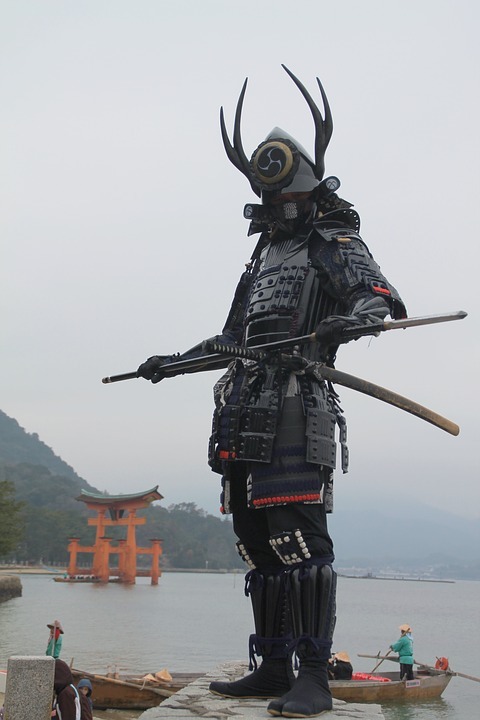 The rural samurai differs from the full samurai status because the rural samurai is described as part-warrior and part-peasant which meant that they are subpar to the Jokashi. Since he technically was a full samurai due to his family’s status, his family lived like Goshi because they were still quite poor despite the money they got from the stipend supplied by the daimyo. Takamori worked very hard and he finally got his break when he was recruited to assist the daimyo of Satsuma, Shimazu Nariakira, as he traveled to Edo for the Kobu gattai movement in the year of 1854. Sadly, due to the Ansei Purge ordered by Tairo li Naosuke and the untimely demise of Shimazu Nariakira, Takamori was sent back to Kagoshima where he was captured and banished twice to different areas on the island known as the Amami Oshima Island. During his time of banishment, he devoted himself to improving his poetry and calligraphy. He was able to write a lot of poems that were translated into English later on. He also used this time to reflect on how much Japan’s shogunate system had been corrupted. He saw himself as a man who is “utterly unconcerned with his life, fame, rank, or money” and the fact that he was watching move away from his ideals bothered him so much. Eventually, he was forgiven and granted access to return to Satsuma. When something bothers brave men, they do something about it and since Takamori was definitely a brave man, he returned to Satsuma to play a huge role in resolving the military struggles and political issues that Japan encountered during the mid-19th century. In the year of 1868, Takamori had troops occupy Edo and this move would ultimately defeat the shogunate forces that have grown weak. This victory was a great one for him but the repercussions of this victory would soon haunt him because of the reforms that were set into motion with this victory. One of the vital reforms made by Meiji was to abolish the ancient feudal system of military government known as bakufu or the system that operated through feudal lords. He immediately went back to Satsuma after the reform so he wasn’t aware of the big changes that happened in Tokyo, which became the capital of Japan after Kyoto. On his return in the year of 1871 as the head of the newly formed Imperial Guard, he would be exposed to all that technically caused with his victory and missed due to his hasty return to Satsuma. He felt so out of place because everything was suddenly so westernized. He stayed true to his character though by not caving into the craze for western fashion and continuously wearing the traditional dress of his region which was worn with sandals or clogs. In addition to feelings of exclusion, he became very uneasy about the new measures for politics that the government was beginning to implement. A solid example would be how they abolished the han system and passed feudal lands into state ownership. It might not have been obvious to all but abolishing the han system great affected the samurai because the stipends from the han system that was their source of income had been taken away through the abolishing of the said system. With their income cut short, the issue of poverty amongst samurai started to become more frequent. It was as if the samurai status was turned to nothing and that they were just like common folk who were on par with peasants. By the year of 1876, the people of Japan weren’t even allowed to wear their distinctive hairstyle known as the chonmage topknot because they were required by the government to use a hairstyle that conforms better to western fashion. Not only were their traditional haircuts banned but the samurai were also banned from carrying their swords. For hundreds of years, the samurai had been known to always carry their famous weapon so this sudden change becomes really unacceptable, especially though who fought to end the shogunate’s reign. With the things unraveling the way it was because of the reforms, Takamori knew that Japan’s modernization was something that had to happen. It was a dilemma for him though because he did not want to let go of the old ways. By letting go of the old ways, he felt like it was an act of betrayal to those who fought with him and for him. Not knowing what to do, he tried to get into a war with Korea in the year of 1873 to revive the samurai spirit through combat. Sadly, his proposal was rejected and upon this rejection, he resigned from his position and returned to Satsuma to start a military academy. Because of Takamori’s reputation, many young samurais were interested in the military school that he established. By the year of 1877, he had around 20,000 students. This popularity was a bad thing for them because it scared the government. Imagine what would happen if these trained and skilled students suddenly decide to revolt. This fear ate at the government and so they tried to confiscate the weapons from Satsuma’s arsenal. It wasn’t intended to be an attack but the samurai took it in that way and so they retaliated which ultimately started the rebellion that the government feared. Saigo Takamori was torn because he didn’t really want a war but since things had happened the way it did, he felt the need to choose duty over himself and so he became the leader of the rebellion. The rebellion troops were able to fight back for a couple of months but their best efforts were not enough to gain the victory. By September of that year, the rebellion was completely ended. Takamori was wounded with a gunshot and instead of letting himself bleed out, he stayed true to the code of the samurai and opted to commit the tradition of seppuku, which was the honorable way of dying according to the samurai code. He asked one of his comrades to cut off his head after the seppuku. With this act, he immortalized himself as the last true samurai of Japan. Although Takamori’s rebellion was defeated. He was still honored for his efforts to preserve the culture of the Japanese. He never got to reconcile his passion for the samurai tradition and the inevitable modernization of Japan but his struggles proved to be an inspiration for the Japanese people because he personified the struggle that the whole nation was dealing with as well. On top of that, he played a vital role in ushering in the period of the Meiji Restoration and the development of the Imperial army as well. It is for these reasons that Takamori is regarded with such significance in the history books of Japan. As stated earlier that Saigo Takamori was forgiven for his rebellion and was even honored as a hero by the country. His commemoration came in the form of a statue of himself that you can find in the Ueno Park found in Taito, Tokyo Prefecture. It has been there since the year of 1898 and it is one of the more popular statues sought out by travelers when they go to Japan which is also why a lot of hotels surround this area. This statue is 6 feet tall and a fact that surprises people about this statue all the time is that it is a life-sized statue of Takamori. It isn’t really made clear why he seems like he is walking his dog as depicted by the statue but nonetheless, it gives it a very peaceful artwork to look at which is quite interesting if you consider the fact that this statue is a samurai that fought in several major wars of Japan. 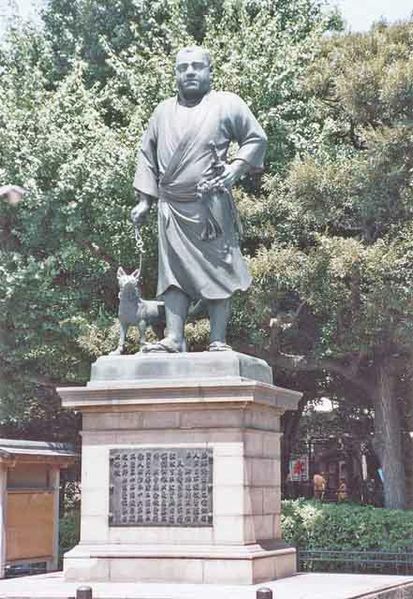 In addition to this statue, the life of Takamori is honored through a movie that is based on the Satsuma Rebellion of 1877. The story twisted facts here and there and also added a hint of romance to the story but overall, it was able to relay some historical facts correctly. With this said, if you wish to learn more about the rebellion, you’ll be happy to find out that this movie is quite educational. After everything was said and done, it is clear that Saigo Takamori truly is a man to look up to. He believed in certain things and never let anyone influence him in any way. When the moments that tested his character came, he shined even brighter for everyone to see how a man with honor and dignity should act and react in those situations of confusion, dilemma, and distraught. He deserved to be honored the way he was honored and he is a great role model for the youth who are interested in knowing how the Japanese culture became what it is today. If the movie and this article were not enough to satisfy your curiosity, you will be happy to know that there are a lot of other sources you can easily find online.